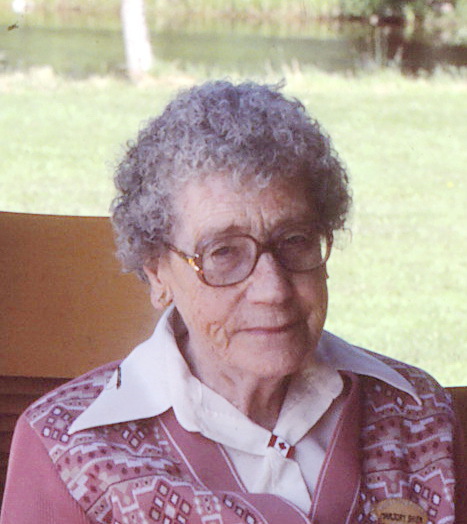 Marriage* Alberta Craig Clark married Alfred Edward Shier, son of George Shier and Jane Martin, on 14 October 1925 in Toronto, York County, Ontario, Canada. 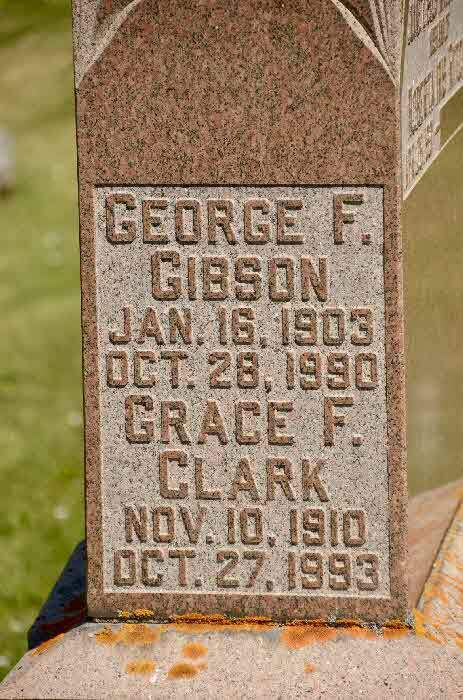 Burial* She was buried in New Hope Cemetery, Waterloo, Waterloo County, Ontario, Canada. 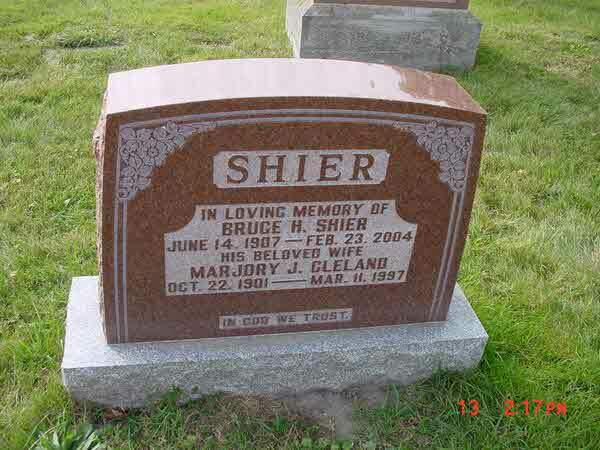 Burial* She was buried in Elkland Twp. 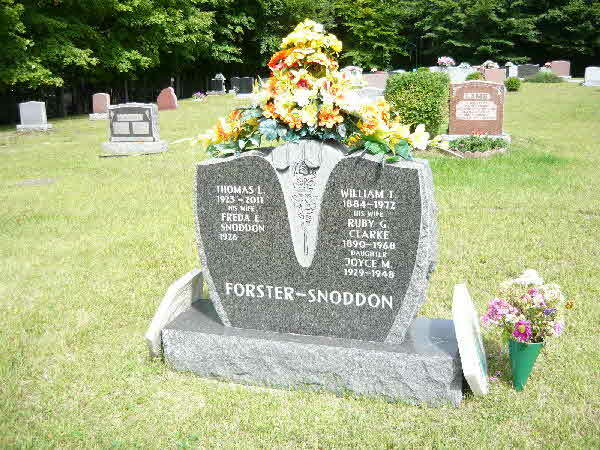 Cemetery, Cass City, Tuscola County, Michigan, United States. [S25] Unknown record type: unknown subject, by unknown photographer; unknown series; unknown repository, unknown repository address. 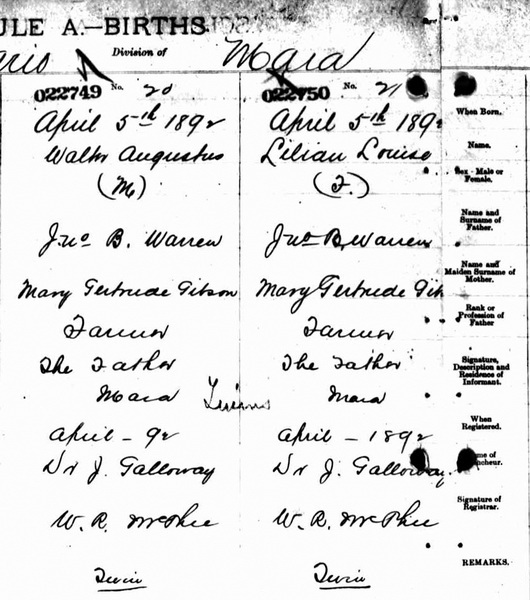 Online unknown url; unknown file name, Marriage Record of Marjorie Shier and William John McCallum. 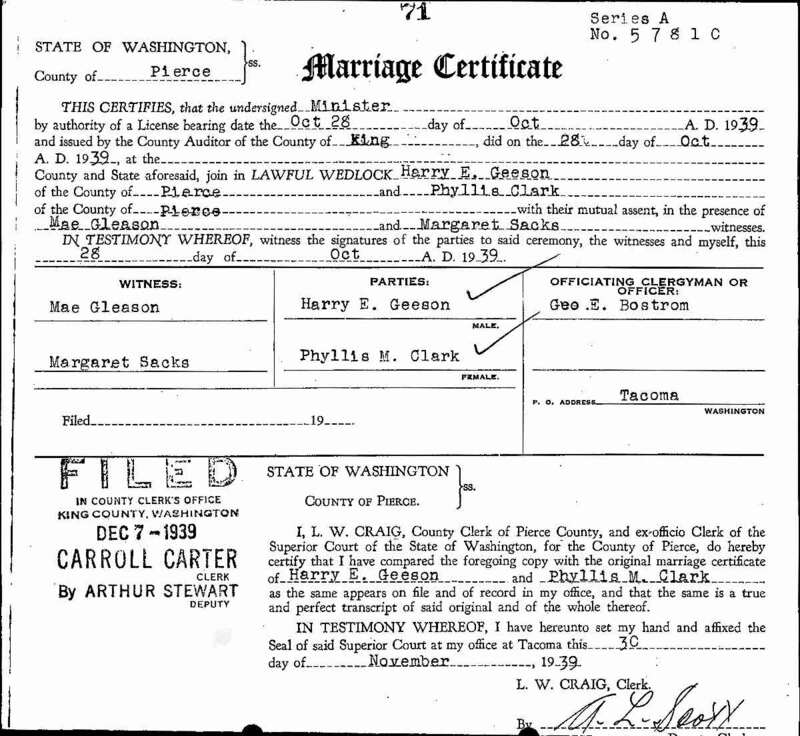 Marriage* Phyllis M. Clark married Harry Geeson on 28 October 1939 in Pierce County, Washington, United States. 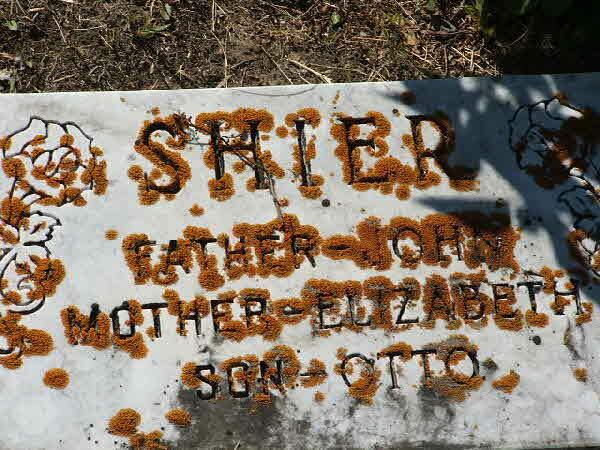 Burial* She was buried in New Tacoma Cemetery, University Place, Pierce County, Washington, United States. 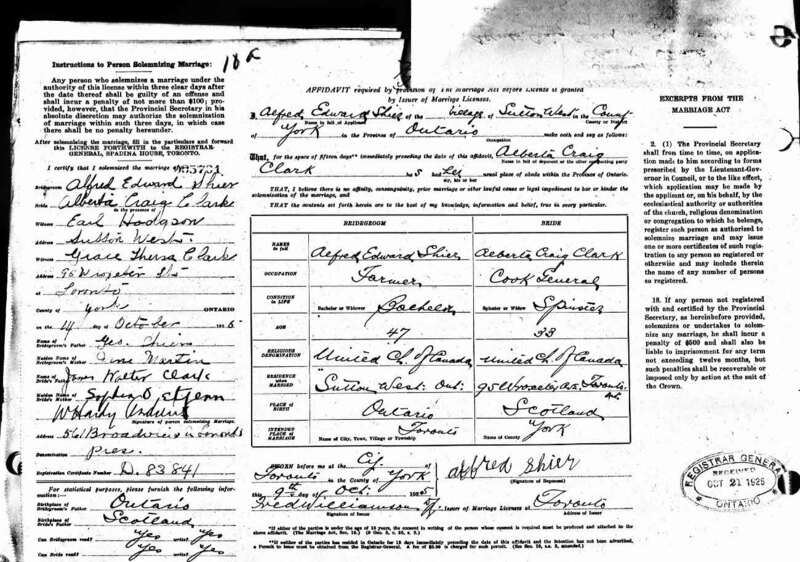 [S66] Washington, Select Death Certificates, online \, Death Certificate for Phyllis Clark Geeson. 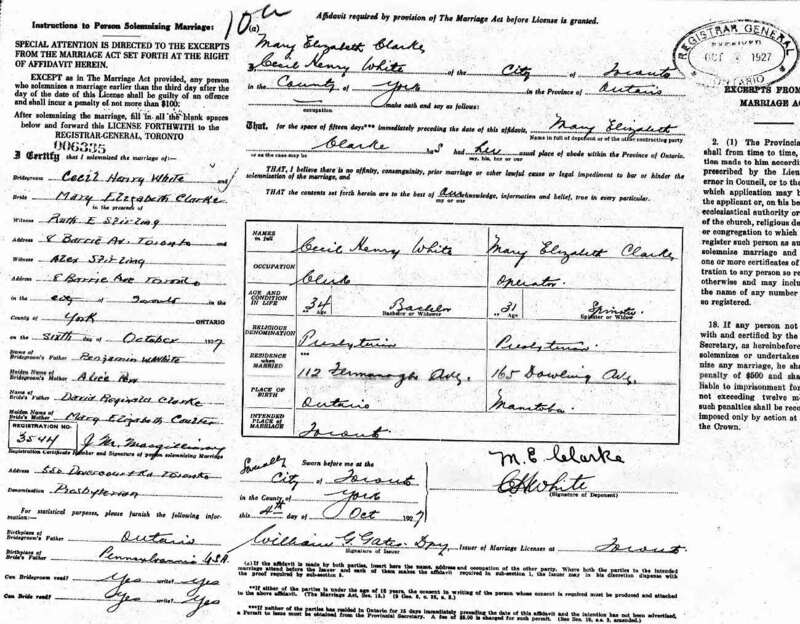 Marriage* Elizabeth Maud Clarke married Charles Stuart Wilson, son of Dr. James Delmage Wilson and Mary "Emma Woodworth, on 28 December 1907 in Toronto, York County, Ontario, Canada. 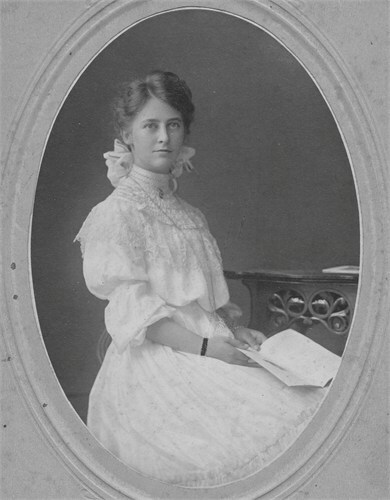 Marriage* He married Lillian Maud Louise Warren, daughter of John Borlase Warren and Mary Gertrude (May) Gibson, in 1915. 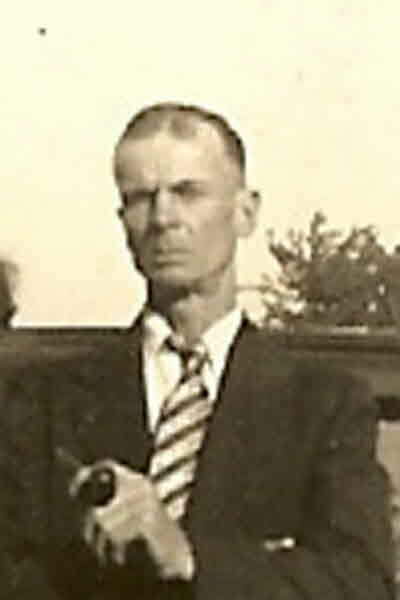 Marriage* Mary Elizabeth Clarke married Cecil Henry White, son of Benjamin William White and Alice Pew, on 6 October 1927 in Toronto, York County, Ontario, Canada. 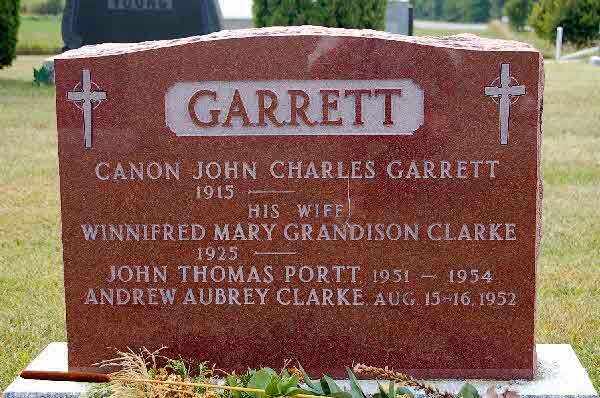 Burial* She was buried in Pinegrove Cemetery, Lanark, Lanark County, Ontario, Canada. 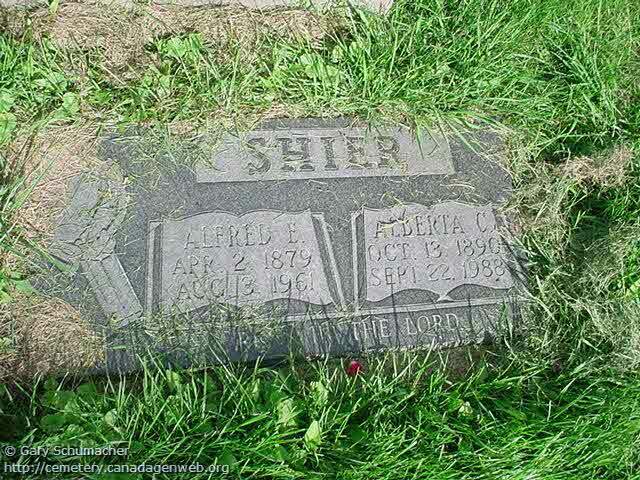 Burial* She was buried in Longlaketon Cemetery, Silton District, Saskatchewan, Canada. 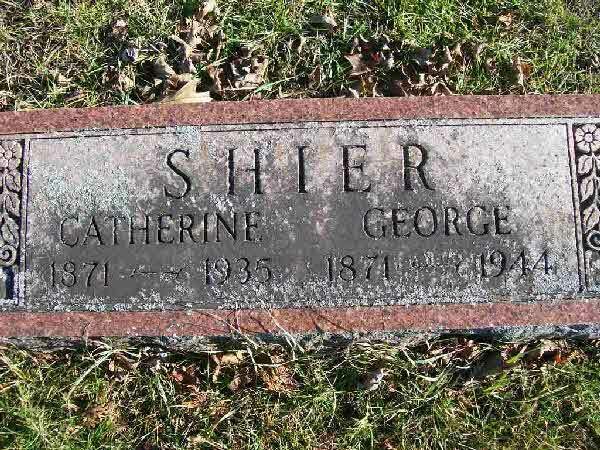 Burial* She was buried in Quaker Hill Cemetery, Uxbridge Twp., Ontario County, Ontario, Canada. 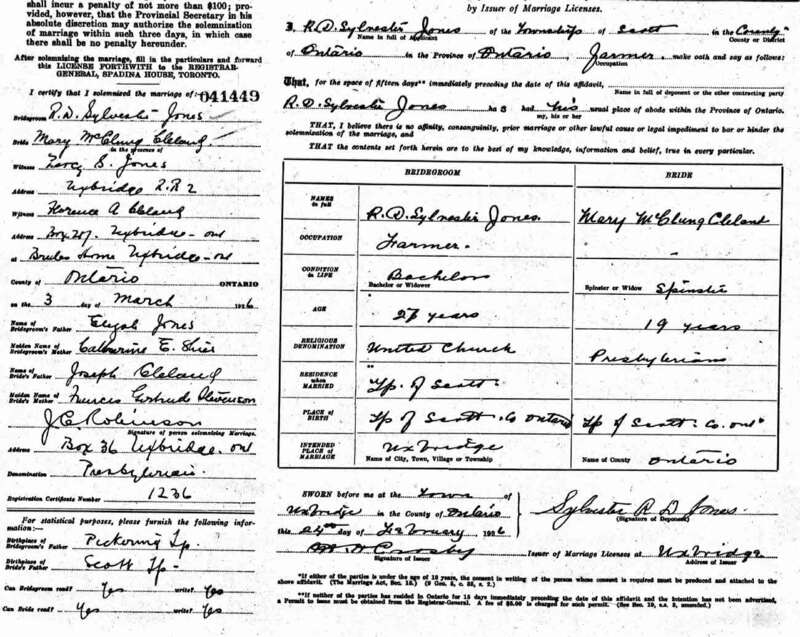 Marriage* Mary McClung Cleland married R. D. Sylvester Jones, son of Elijah John Jones and Catherine Elizabeth Shier, on 3 March 1926 in Uxbridge, Ontario County, Ontario, Canada.